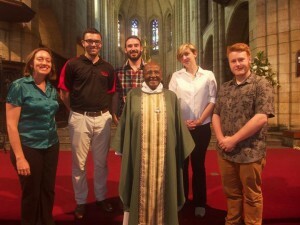 A photo taken with Archbishop Desmond Tutu, notable for his work in the opposition to Apartheid. masterpiece located next to the Parliament building. The service was held in a small, ancillary chapel with seating for about forty attendees. After a few minutes of waiting, and a reminder by the other priest assisting with the service to silence our cell phones, Tutu appeared. He wasn’t a large man – in fact it’s quite the opposite – but he commanded the room when he entered. He conducted the service in three languages, English, Xhosa, and Afrikaans, and used each during his invitation for communion. The prayers given were worldly in nature, thanking America for jazz, criticizing it for its demons, and pleading with all of us to pray for Beirut and Paris. That he broke from the script of monolingual, strictly-biblical services that many, myself included, are so accustomed to in America was, in my opinion, the most striking thing about Tutu. This was a man – one awarded the Nobel Peace Prize for his work in ending Apartheid through mediation, who also chaired the Truth and Reconciliation Committees that helped to draw the so-called ‘Rainbow Nation’ (his words) back together – so committed to his principles, one of a unified South Africa, that he brought this into his sermon for the morning. He drew on three very different cultural traditions and languages in a way that was breathtaking. A beautiful view on Thanksgiving Day. baboons, ostriches, and penguins. None of us had ever seen these animals outside of zoos but in the wild, they are indifferent and calm around humans. 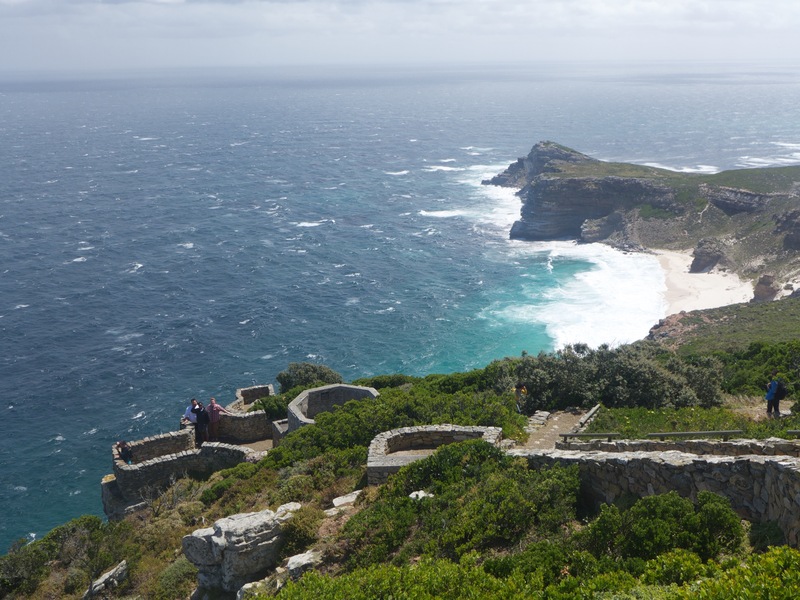 We took a scenic highway to the Cape of Good Hope which many car companies use for shooting commercials. The coast is lined with rocky cliffs that fall into the ocean. 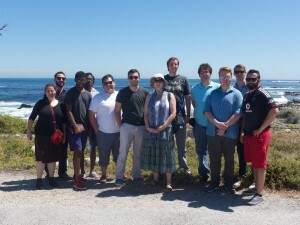 We hiked up to the lighthouse at the southern end to the Cape and saw dassies, a larger rodent and the closest relative to the elephant. 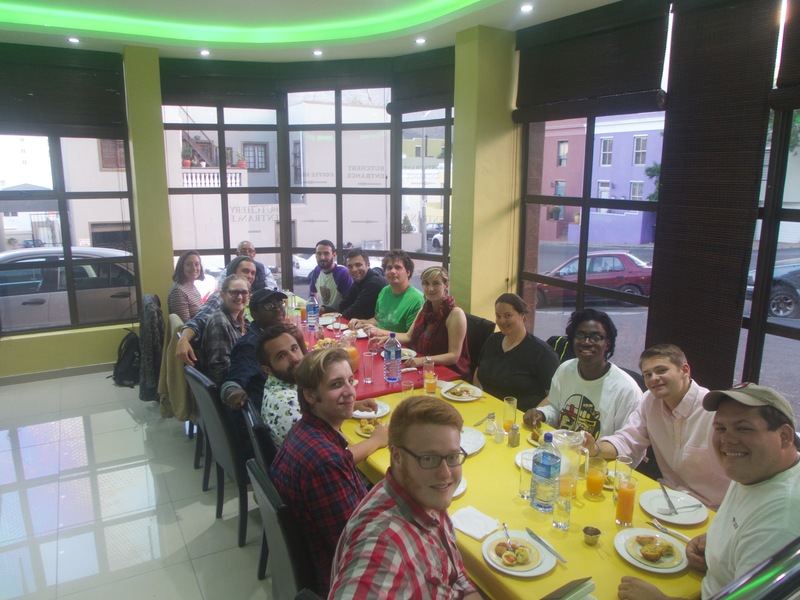 For dinner we had a family style, traditional Islamic meal at Biesmiellah, a Malay restaurant in Cape Town. Biesmiellah is an invocation and prayer before meal to give thanks to Allah. We had fried appetizers like spicy potato Wadas and samosas and then a main course of saffron basmati rice with curry chicken and Pienang beef. For dessert we were served koeksisters, delicious sugar coated Malay donuts. To wash it down we had a passion mango juice. No alcohol was served at Biesmiellah per Islamic tradition. Thanksgiving Dinner with the whole group. Lucy, our tour guide, explaining the meaning behind the gold “VOC” emblem in the sidewalk. 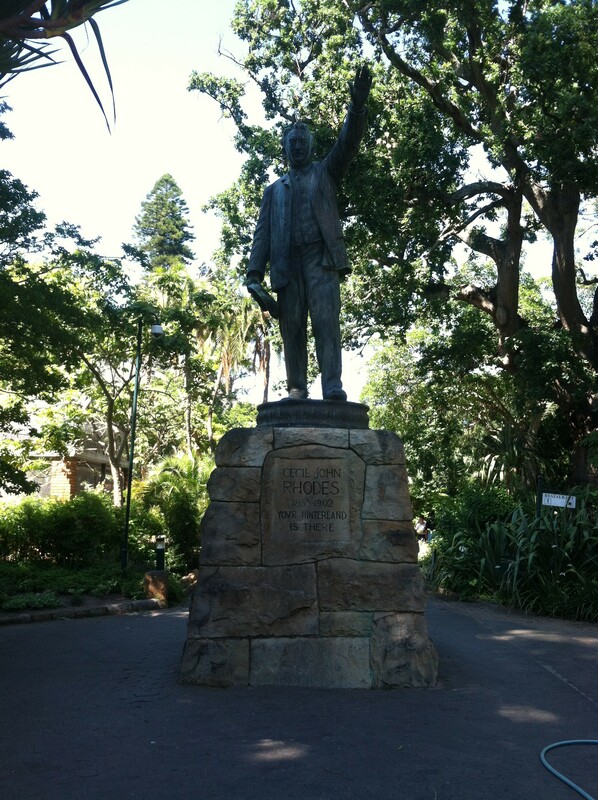 Statue of Cecil John Rhodes, major figure in the colonization of South Africa. The “Column of Memory”, with the names of almost all the slaves that had been brought through the very building in which it stands. still exists in Cape Town continue. Meeting with Campbell has presented our class with a perspective that a textbook cannot. “Decolonization is much more than academia. A large part of recovery has to first start with attitude. This even includes the way we look at and view others,” Campbell said. 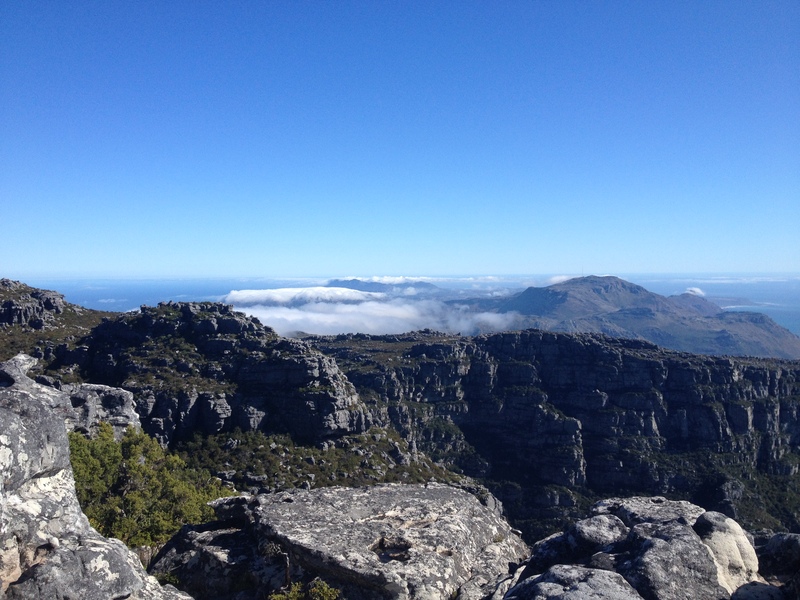 To some, Cape Town’s beautiful landscapes may serve as camouflage of the history of the past. Although the city has been built upon the culture and past of others, we must not forget the past and struggles of others to build an equal and accommodating home for all under the ‘Rainbow Nation.’ Like the opening quote suggests, the power of remembering, reconnecting, and recollecting will help shape the country and city’s future through it’s own past. Sitting where the Cecil John Rhodes statue used to be at the University of Cape Town. The shadow that the statue would normally have cast was painted below. Chatting with, and learning from, Rhodes Must Fall activists. 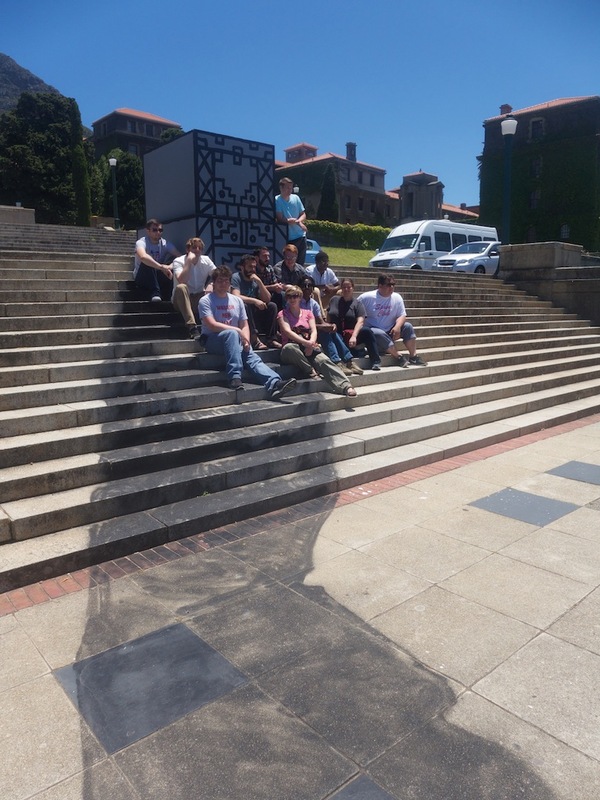 removed a statue of Cecil Rhodes that loomed over the centre of campus. To these students, and many South Africans, Rhodes represents the evils of modern colonialism that is still prevalent in Cape Town and the country as a whole. Rhodes was a diamond tycoon in the 20th century who exploited black Africans for labor and and made a tremendous amount of wealth from the diamond trade. His infamous legacy can be found throughout Cape Town and specifically UCT. 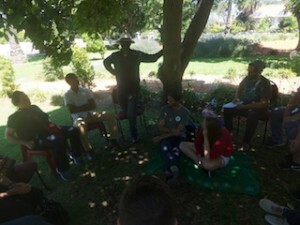 One of the students we met with, referred to as “Prof”, explained to us the struggle of black students who attend UCT. A lot of his concerns revolved around the lack of professors of colour. 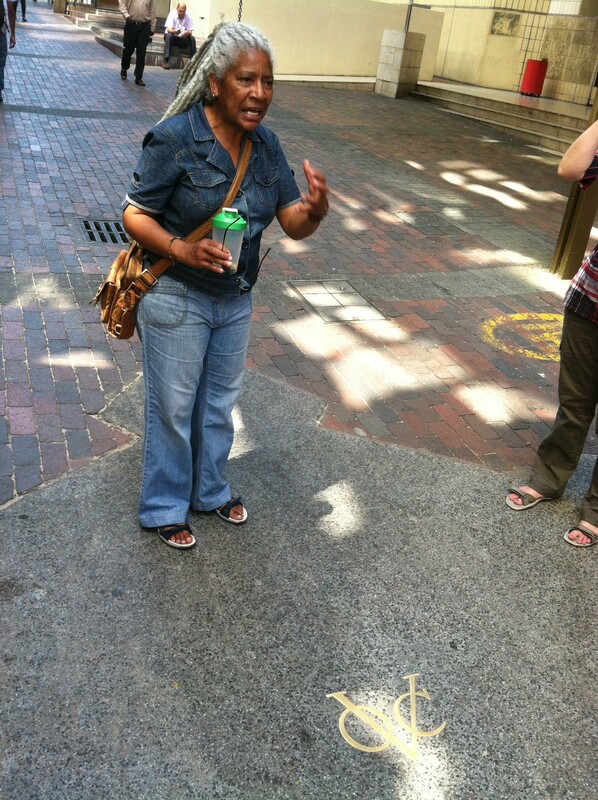 He told us that out of the 231 professors at the university, there are only 3 black female professors. This is an issue because many of the students at the university are of colour, and feel that their education is at a disadvantage. This was extremely surprising to me simply because of UCT’s location in South Africa. To Prof, and the other students, this is a sign of colonialism still being prevalent in today’s society. A lack of professors of colour combined with several memorials and statues of Cecil Rhodes has created a formula of revolution for these students. What was so powerful about these students was their desire for change through revolution. 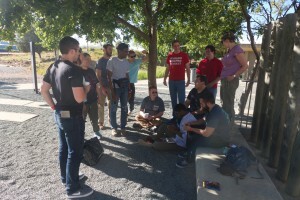 Instead of waiting for something to happen or using process as a means of change, these students decided to take action. 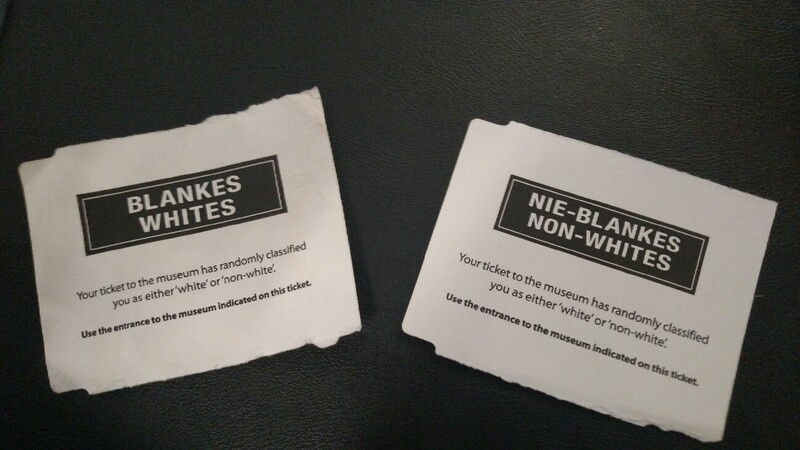 They physically removed something that represented oppression and marginalization. Revolution as a tool of change is detrimental to the oppressor and society that belittles a population. We can use their struggle as inspiration for our own revolutions. There is nothing that prevents change except the chains we put on ourselves. What is your Revolution? Immanuel Mitchell Sodipe ‘1 8 – On Our first full day in Johannesburg, we were greeted by birds chirping, bright sun, and a bit of jet lag. Warm breakfast, hot coffee and an introduction to the happenings of the day. Our tour guide, Malefi, talked to us about how he became politicized at the age of 13. This day was marked deeply by contrast –contrast between black and white and poor and rich. 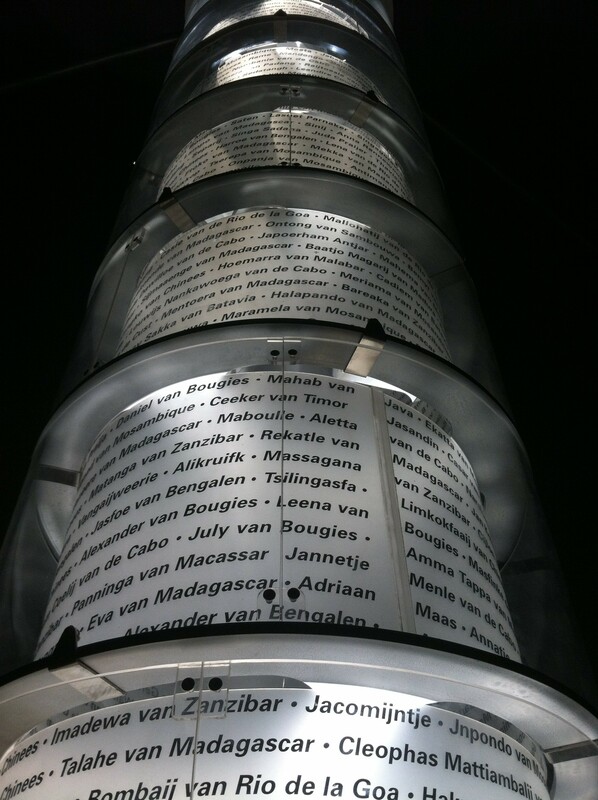 We’d leave our guest house, in Melville, an affluent suburb of Johannesburg, and drive towards Soweto, the township from which Nelson Mandela is from and the township that was ground zero for the 1976 student rebellion. Melville is predominantly white. Soweto is predominantly Black. It’s as if the color of poverty in South Africa is black. We saw the World Cup stadium a beautiful structure in the shape of a traditional tribal drinking bowl built to house the world’s largest and most expensive soccer competition. Maelefi told us that this didn’t bring many jobs for Soweto residents. 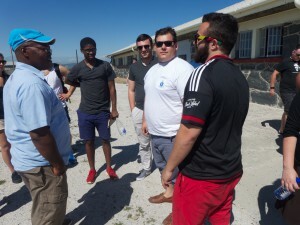 Fifa uses “volunteers.”We saw the township engineered to be pitted against the mining compounds deprived buildings covered up by new developments to hide the poverty.We passed by Shanti towns on our way to the Regina Mundi Church– hogs by the river that floods it when it rains too much. The Regina Mundi church was a place Black South Africans organized for liberation for when the police came in, they could convert the organizing meeting to a church service. In class we learned and read about apartheid –separation and subjugation based on race. In post-apartheid South Africa, we saw the poverty that is a product of the past and also sustains it. Malefi told us that as much as the constitution has been a blessing –the ZA constitution being the most liberal in the world — it doesn’t change lives. Which got me thinking about the United States in comparison with South Africa. For as much as things change, things often stay the same. In the United States, Jim Crow (the set of U.S laws meant to separate and subjugate based on race) was said to end with the Civil Rights Act of 1964. But the remnants of it –mass incarceration, deprived Black communities, child poverty, and other forms of state violence — still exist and destroy families. 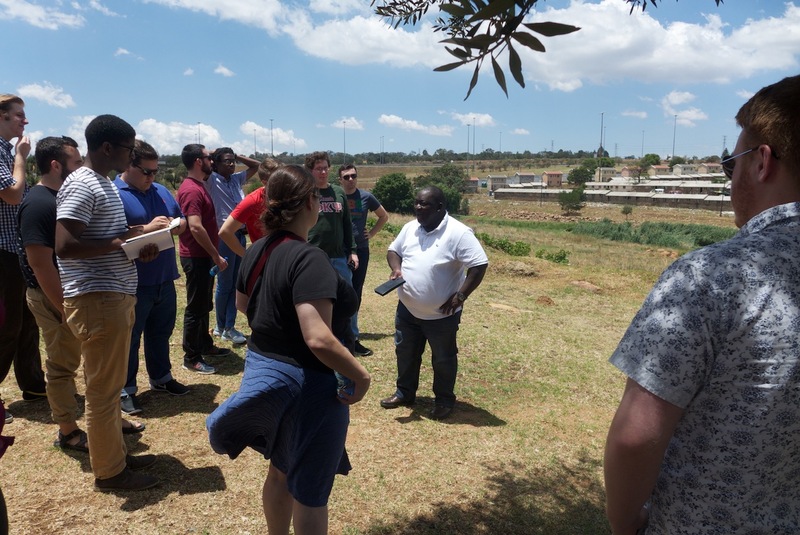 Likewise Apartheid was said to be over in 1994, but the remnants still exist and destroy families – And that’s just that, families live in –people live in– these deprived communities. Families are affected by racist policies and divestment. We’ve learned to see this, I believe, to focus on this (the affect on families) in our analysis of texts and history. Christian Rhodes ’17 – Njabule Ndebele is a very interesting author because he is distinctly different than most of the other authors that we have read this semester. Ndebele himself came from a very educated household, his father was a teacher and his mother was a nurse. We can read Test as somewhat autobiographical because the young boy’s parents were a teacher and a nurse. Ndebele was also a Zulu, so despite the fact that he came from an educated household, he still was in touch with his Zulu roots. Ndebele himself followed in his father footsteps of academia. He has a BA in English and philosophy, masters in English literature, and a doctorate in philosophy. He has worked at or with 13 different Universities and Colleges and has 11 different honorary doctorates from Universities around the world. To this day he remains a significant figure in the South African higher education system. In Ndebele’s story of Uncle we see the story of a boy and his uncle. His uncle was not a visible figure in the boy’s life for many years. The uncle then made a reappearance and became a very important figure in the boy’s life. I read the story as a coming of age story for the boy because he sees his first female body and explores sexuality. His uncle also teaches him about race, ethnicity, identity, and many more things that father figures would. Ndebele’s style of writing is more passive than political. He stated that he did not write his pieces as political, but from a reader point of view, I think that it can be read as such. The intentional approach of not political makes me read more into what is not being said, rather than what is explicitly written. 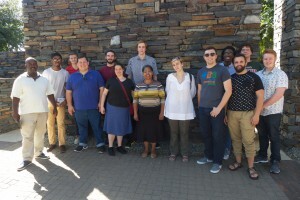 The fact that there is a lack of strong prevalent white oppressors is interesting because it is almost as if Ndebele is making a point about the struggle of growing up and living through apartheid in a unique way. Zach Greene ’16 – In Njabulo Ndebele’s Fools and Other Stories, there are great metaphors used in the story “Uncle” to describe the changes in civilization over time. The Uncle in the story is visiting his nephew for a short time. In his desire to be a good Uncle, he decides to impart a bit of wisdom to his nephew. He describes the destructive force of volcanoes and how they are able to make large-scale change. The Uncle then goes on to explain how the history of people is made up by brief, but significant change. This metaphor leads the nephew to have an interesting and highly symbolic dream. Within the nephew’s dream, a sky full of planes appears over his township while everyone stands still in the streets. This first section of his dream appears to be symbolizing how the world seems to be flying by South Africa while there is great inequality. The outside world has no care about what is going on there and thus, South Africa does not change and the people are not moving. However, there is the point where the volcano erupts, or the great significant change in society happens. In the second portion of the dream, the nephew and the members of the township begin running around the township with no regard for where they are going. This could perhaps be a nod to the displacement of non-combatants during civil war and political instability. Ben Cramer ’17 – From the daemon in The Golden Compass to the patronus in Harry Potter, the animal familiar is a common trope in children’s literature, so though Lauren Beukes’ Zoo City could hardly be considered suitable for kids, I was prepared for the story’s universe to follow similar rules. Typically, the animal companion is the embodiment of some essential element of one’s personality and in some way informs characterization. However I was thrown for a loop by some of the animal pairings. They’re not very consistent with textual personality traits. There’s something to be said for a disaffected film student becoming an Afghan warlord and getting, incongruously, a penguin, though Odi Huron has an apex predator while being the Big Bad at the end of the novel. Most troubling for me actually is Zinzi’s Sloth. Time and again we see she’s one of the hardest working characters in the novel, so a sloth really does not make sense. On a meta level, Zoo City is not a children’s book, so such simplistic approaches to character personalities would be a bit insulting to the reader. However, I’m also not content to read this as though the animals are arbitrary or random, and having only half or some of the animals mean something is lazy in a way that Lauren Beukes is not. 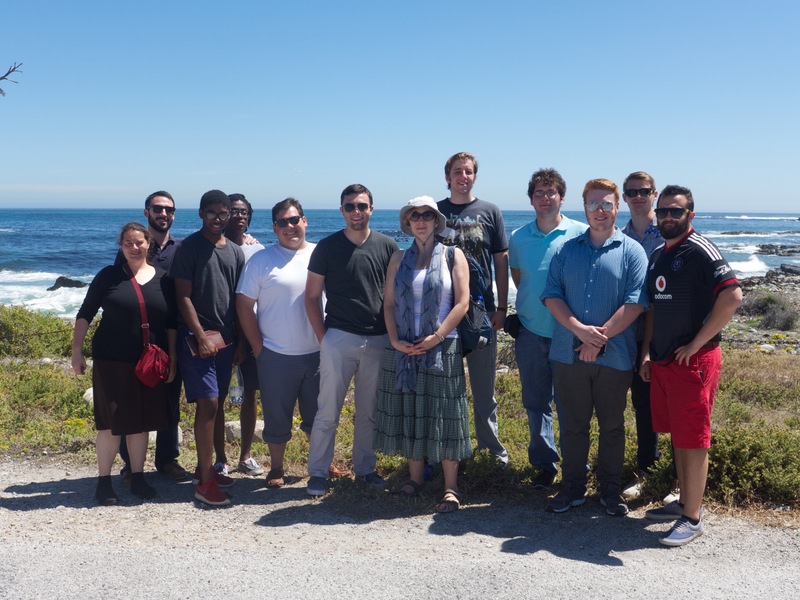 Ty Campbell ’16 – “Uncle,” a short story compiled within Njabulo Ndebele’s Fools: And Other Stories, describes a visit made by the main character’s maternal uncle. The uncle is a popular musician whom attracts attention of the village in which he is visiting. His musical ability can be viewed by the reader as being a unifying symbol of the oppressed while also being a symbol of colonial resentment. Through the introduction of the uncle, the reader is able to conceptualize a unifying factor of the South African anti-apartheid movement: music. Lightly during the short story, jabs and remarks made by characters tell the story of the oppressive nature of white rule and dominance in South Africa. The uncle, who is an active traveler, makes comments about the large control the State has on the village in which his sister and nephew live. As stated by the uncle, “…this being a small place, you can feel the foul breath of those stupid Boers going down your neck much more than you can in a big place like Jo’burg” (Ndebele 79). The uncle is likely referring to the strong police presence in the small town that enforces white culture upon the predominantly black African residents. Also, within a flashback to the main characters prior memories with his uncle, he remembers interactions his uncle would have with local men. In a conversation with the men about the news, the main character remembers, “They would reading the Golden City Post of the Sunday Times. After greeting, Uncle would say: ‘So what does the white man say today?’ ‘The usual thing,’ they would say. ‘So why keep on reading?’ ‘To make myself angrier and angrier!’” (Ndebele 71). The passage processes humor but is meant to be critical of the relationship between the whites reporting the news and the black Africans reading the media. Ndebele adds these types of scenes within the short story to set up the significance of Uncle’s character. Self-expression and resentment to the oppressive white culture is a significant aspect of black South African rebellion to colonial rule. In the videos we have seen in class, music and dance were ways in which black Africans were able to resist cultural oppression while maintaining their native practices. In a description given by brother Mandla about Uncle, “this is how you are when you play the trumpet. When you play you are exaggerated. You are bigger than what you normally are because you have become all those who are listening to you” (Ndebele 78). The description is a great way of explaining how music is used as a unifying symbol, the music and movement is bigger than any one individual. At the end of the story, the villagers and come together outside the main characters’ home and collectively celebrate the expression of their culture. Uncle’s musical ability is a great example of the black South African unifying symbol of music.